This course is aimed at people who wish to embark on a course of study leading to a career in the construction industry, with particular emphasis on renewable energy technology. It is specially designed to provide the learner with the skills associated with environmentally sustainable building and construction technology. The course will present learners with an opportunity to develop practical skills in the area of building construction and wood fabrication. This course prepares you for a wide range of jobs, including employment with building contractors/developers. 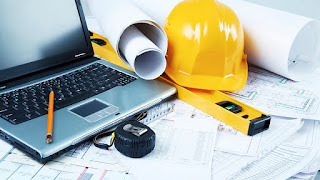 architects, quantity surveyors and local authorities. Graduates are also prepared for work with manufactures and suppliers of building products and materials. Leaving Certificate or Leaving Certificate Applied or LCVP or Level 4 award. Equal consideration will also be given to mature applicants (those aged over 23) who do not meet these entry requirements. Graduates of this course may progress to the following level 6 courses: Renewable and Engineering Technology, Furniture Design (Year 2) or Architectural Technology and Design (Year 2), all available at Cavan Institute.